In response to improving market conditions in the Oil & Gas Industry and following an increasing demand for Modular Buildings rental and support services, Labtech Services Limited has relocated its facilities in Aberdeen, with enhanced refurbishment services. “This change marks another important milestone at Labtech and Specialist Services Group. The currently improving market conditions in the industry are reflected in an increased demand for modular building rentals, service, maintenance and refurbishment works, as well as new builds. 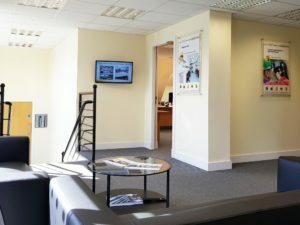 During the past two years, Labtech has been focused mainly on providing Modular Hire units for rental and service works, and in response to increased demands has now relocated to a larger facility in Aberdeen, from where we can offer enhanced refurbishment services to our clients,” said Ian Rogers, Chief Executive Officer at Specialist Services Group. 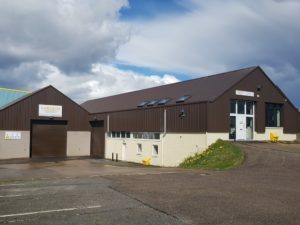 The new facility is located in The Bond Building on Howemoss Drive, Kirkhill Industrial Estate, Dyce, and includes office space for the Labtech team, a workshop and a yard for our Modular Hire fleet storage, refurbishment, recertification and modification works. “We already have the highest specification and newest Office Module fleet available anywhere in Europe and to support the increased demand we are experiencing for our Modular Hire units, we are expanding our fleet in Aberdeen, including our fully ABS compliant FLEX 33 Accommodation Modules. Our Modular Hire fleet, along with our service capabilities covering HVAC, F-GAS, ATEX and IECEx recertification, will now also be complemented by refurbishment works, which represents an exciting next step in Labtech’s development. In addition, Labtech will continue to deliver new build solutions to our client base manufactured at our Group facility in Dubai, ensuring internationally compliant products at commercially competitive costs,” said Chris Ridley, Group Sales and Marketing Director at Specialist Services Group. The facility relocation will bring significant benefits to Labtech and Specialist Services Group by providing sought after Modular Hire units at competitive rates for immediate delivery, responsive call out service and maintenance works, and also refurbishment works. Visit our Contact page for Labtech new location and contact details.